Patent Strategy: Standing on the shoulders of giants. When I began my venture into the world that is now known as IAM, there was little mention of patents in the boardroom, the phrase “Patent Troll” had yet to be coined, and business model of Intellectual Ventures was merely a concept in Nathan Myhrvold’s mind. 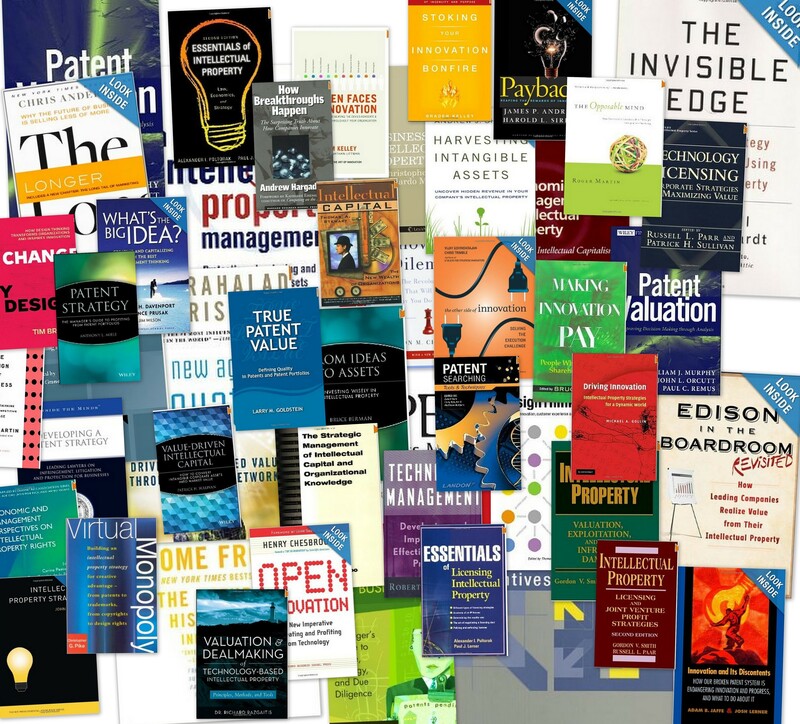 Almost 15 years ago I was tasked with building a patent portfolio for a SME, so I set out to see how this could be done – and I found out that you cannot learn about Patent Strategy from a single book… and to complicate matters, there wasn’t very many books to even chose from. There were no “IP Consultants”, few local mentors that knew about IP, and even less accessible industry knowledge to lean on. For literature in this area the closest book about planning was Rembrandts in the Attic, which was more a call to arms for CEO’s about buried IP potential than a guide on how to actually deal with IP, followed by a wide gap, and finally more verbose literature around licensing structure and joint ventures. But this wide gap was where I set out to immerse myself in – to find out the HOW of IP – HOW to create a portfolio of value to setup a license program; HOW to be a IP leader in your industry; HOW to generate relevant patents that can be actually used in the business, without bankrupting a small R&D budget. Of course in the 1990’s the model IBM portfolio was often a goal but it is simple economics that dictates SME’s can’t file 5,000 patents per year, and cover enough technology to generate $1B in license fees. The SME’s have to start somewhere, and this is the HOW that I endeavored to find. Along the way I was shaped by a few dozen books, took a detour into Academia for my own research and wrote a thesis on Business Patent Filing Strategies for Startups and SME’s for my MBA (available upon request! ), and then expanded my knowledge base to include the link of Innovation-to-IP. In practice innovation and IP truly go hand-in-hand because while the first endeavors to create the next unique technology, the latter focuses on ensuring protection and rents be generated from the work. Looking back I realize that to really understand an be in a position to talk about Patent Strategy, one has to have a fundamental grasp of how a firm’s potential IP interacts with the business and the market, and then be able to move from discussion to execution of a patent portfolio that sits at this legal/market/technical intersection. For me this means understanding the entire lifecycle of IP: from (Innovation), how IP is managed (Mechanics of Patents & Licensing), where the business needs positioned (Approaching IP from a Business View), and where your company is growing (Thought Leadership & Business). 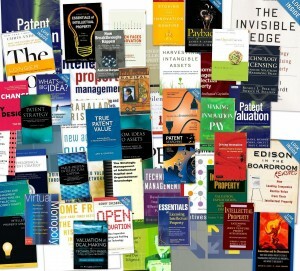 Merely reading a “Patent Strategy” book will not help one create and develop a quality patent portfolio, because it needs created in the specific market and company environment. 1) Edison in the Boardroom: How Leading Companies Realize Value from Their Intellectual Assets (Davis and Harrison). This has been my ‘go-to’ book for over 10 years, mostly because it gives a good business primer on IP and follows with tangible steps and goals for a business to focus on. For training new business/IP team members or running an IP centric workshop it gives some common ground for terminology and quickly aligns the participants to a similar reference point. More importantly it gives the reader some references and structure to talk about the need for IP Management in the boardroom. 2) The Innovator’s Dilemma: The Revolutionary Book That Will Change the Way You Do Business (Christensen). How do you know what disruptive innovation is and the potential it has, if you have never seen it before? How will you change your processes to recognize these as core patentable topics for your portfolio? More importantly, are you building your patent portfolio around a disruptive (or unique) technology early enough? Understanding how disruptive innovation works is a benefit to those that need to mine and identify IP trends in their business and competitors. 3) Invisible Edge: Taking Your Strategy to the Next Level Using Intellectual Property (Blaxill & Eckardt). The authors lay out a substantive case for the importance of IP, as well as lay out that businesses in the post-industrial and knowledge based economy must look to IP as a sustainable advantage for longevity. This book, combined with some of the tools in Edison, give the reasoning to talk IP in the boardroom with executives as well as initial toolkit to jumpstart a patent program. The reading list below is broken down into 6 main sections. I wouldn’t say every book is essential or even more useful than not, however the totality of the knowledge in them is what brings the understanding to the reader. Patent Valuation – Improving Decision Making through Analytics (Murtphy, Orcutt, Remus). The Long Tail (Anderson) Ask – do I need IP on the technology in front of me, or scoped to include the long tail? Blue Ocean Strategy (Kim). Ask – are you patenting in a red or blue ocean? I also have a weekly Google Scholar search on a few topics, such as Patent Strategy, which bring up the occasional paper that is interesting. Valuation and Dealmaking of Technology-Based Intellectual Property: Principles, Methods and Tools (Razgitas). An IP book that receives a review of 5/5 stars on Amazon from Gordon V. Smith deserves a look at. True Patent Value: Defining Quality in Patents and Patent Portfolios (Goldstein). I’m partial to any author that talks about the need for patent quality in a portfolio. Inside the Patent Factory (O’Connell). Background as well as operational points on setting up a process and culture to generate IP – Already on my “ordered” list I am looking forward to reading it by the end of the year. My reading list is ever expanding. If you have a book I missed and feel it will contribute, don’t hesitate to add it in.